Chadron Middle School will host our spring Parent Teacher Conferences on February 9th from 2:00-8:00 in the CMS Gym. To accommodate for PTCs, CMS will have a 1:30 dismissal on February 9th. If possible, we ask that 5th and 7th grade parents come to conferences between 2 PM and 5 PM and 6th and 8th grade parents come to conferences between 5 PM and 8 PM. We understand that some parents have children in different grades at CMS and that work schedules may be not be flexible, so these are only suggested times. All teachers will be available for conferences from 2 PM to 8 PM. CMS will run After School Program (Homework Help only) on February 9th from 1:30-4:00. Students who are missing work and/or just need some help are encouraged to attend. 7th and 8th grade boy's basketball vs. Hot Springs has been rescheduled to Saturday, February11th at 9:30 and 11:00 in the CMS Gym. Terri Lemmon, UNL Extension Assistant for 4-H and Youth, met with 7th and 8th grade students to discuss the importance of career education. 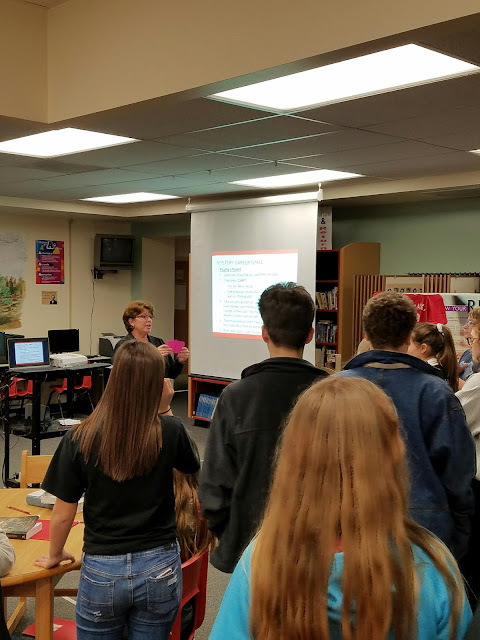 Mrs. Lemmon discussed an opportunity for 8th grade students called 'Next Chapter', which is a career exploration program designed for 8th-12th grade students. Information about Next Chapter can be found at the bottom of the page. 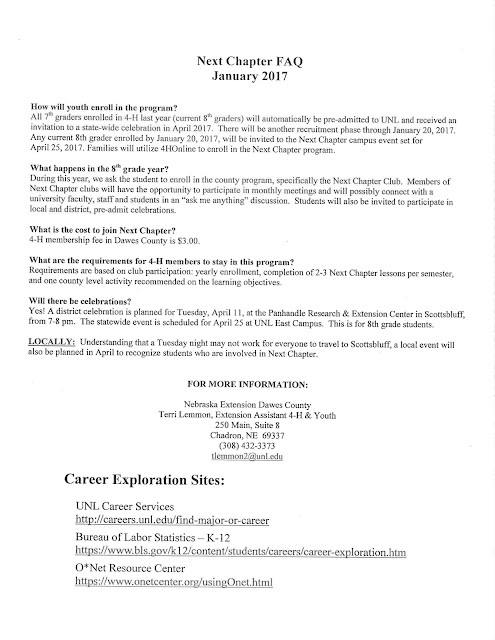 Chadron Middle School and ULN 4--H Extension partner on many different activities and opportunities for our students. They have been regular partners in the CMS After School Program and this year our partnership extended into the regular school day during Cardinal Block with the Entrepreneurial Investigation (ESI) program and now Next Chapter. 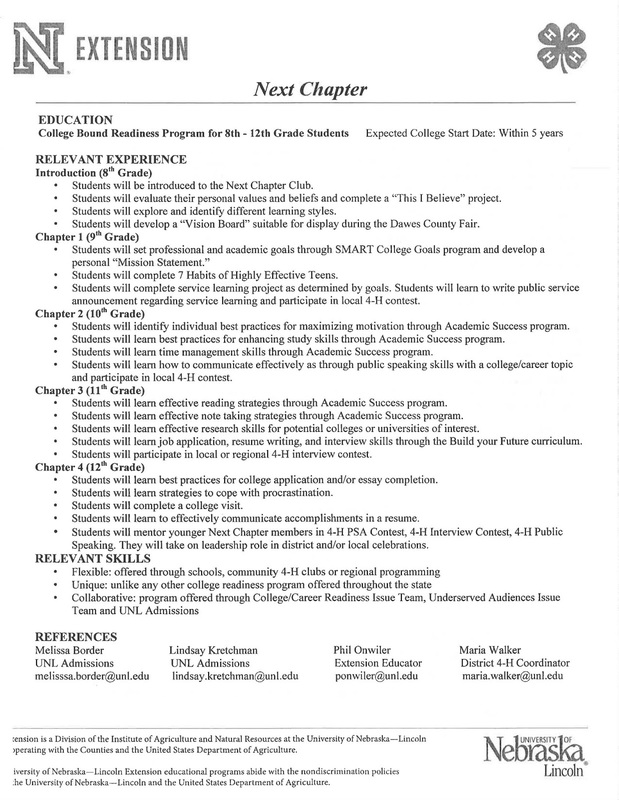 We hope that Next Chapter sparks a lot of interest with our current 8th grade students and that the program can grow into something that will benefit students for years to come. 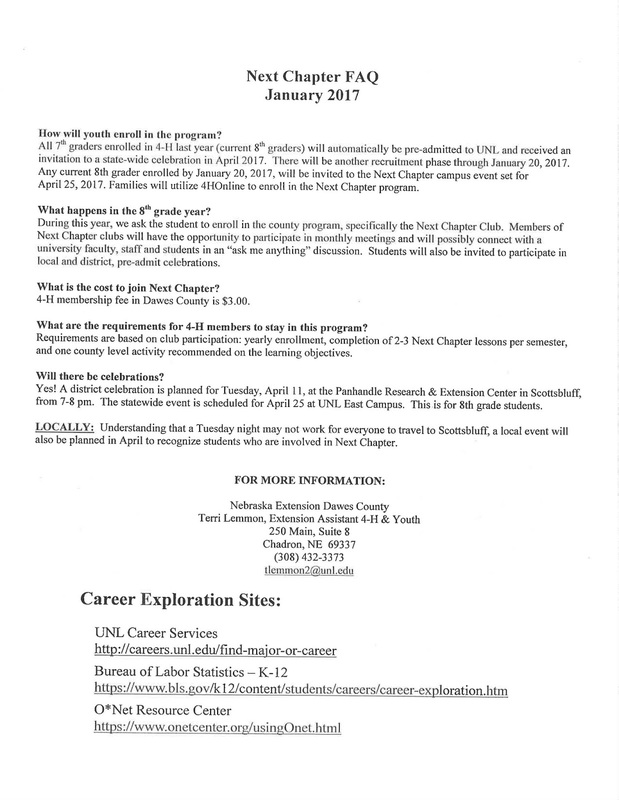 If you any questions about Next Chapter and/or 4-H, please contact Terri Lemmon using the contact information at the bottom of the post. Panhandle Post Teacher of Month - Mr. Calkins! Congratulation to Mr. Calkins, 5th grade Science and Social Studies Teacher at CMS, for being named the Panhandle Post Teacher of the Month. 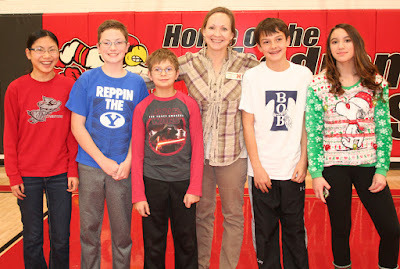 Check out https://www.panhandlepost.com/calkins-is-chadrons-teacher-of-the-month/ for the full article and pictures. 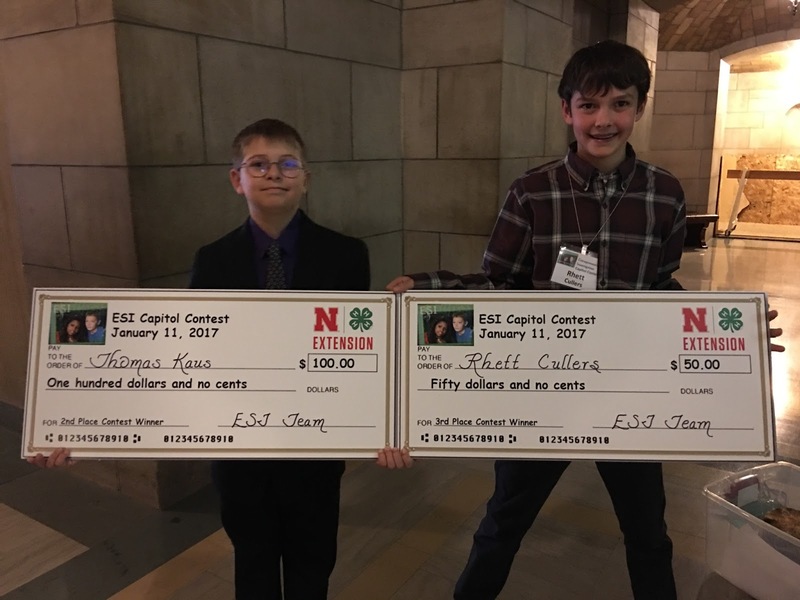 Congratulations to Thomas Kaus and Rhett Cullers for taking 2nd and 3rd place respectively at the State Entrepreneur Investigation (ESI) contest in Lincoln. There were a total of 12 students from across the state who where selected to compete. Good work boys! At the beginning of the semester, teachers introduced students to our new Student Response Protocol (SRP) from iloveuguys.org. This SRP has been adopted by the entire district in order to ensure all schools follow common language and procedures in the event of an emergency. Copies of this poster have been posted around the school as a reminder of what to do when the school is in lockdown, lockout, evacuation and shelter. 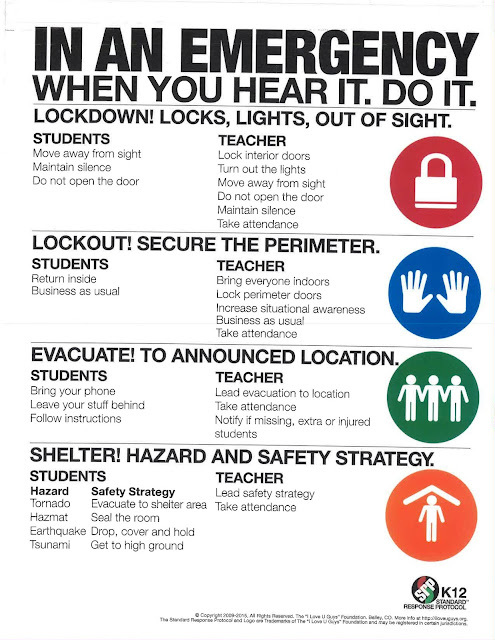 We drill these situations throughout the school year to ensure that students and teachers practice what to do in the event of a school emergency. Five Chadron Middle School students will travel to Lincoln this week to participate in the State Entrepreneurial Investigation (ESI) Competition. Each of these students had to apply for entry into the competition and only 14 students from across the state were selected. Congratulations to these students on being selected and good luck at state! January 16th - 5th and 6th grade students - CSC MLK Day March and Speaker at 1:15 in Chicoine Center. 1:30 Dismissal on January 23rd. 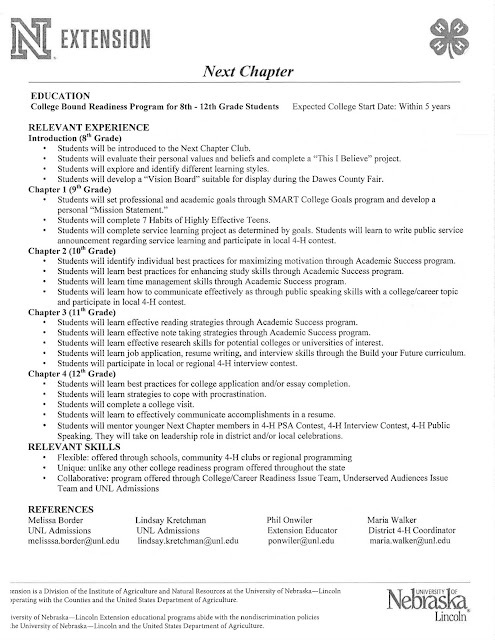 If you have any questions, please contact Mr. Dressel or Mrs. Summers.